4th quarter water bills have been mailed to all customers. Payments are due on or before February 8, 2016. 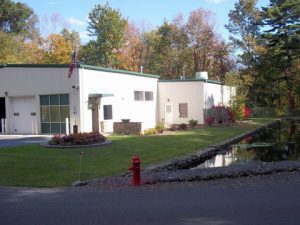 It is a Mission of the Board of Directors of the Milford Water Authority to assure that the maintenance and timely replacement/upgrade of its assets is an integrated part of the annual operating and capital budget planning process and that its rate-based funding stream takes into account these projected system maintenance and replacement needs over a multi-year planning period. Our Chairman, Ronald Gregory, continues to ask each customer to make a habit of conserving water by turning off taps, fixing leaks and avoiding waste. Is your toilet leaking? We have available at our office leak detection tablets that you drop into your tank. If the water turns blue, the seal around the flapper is leaking water. This will cost you money. If you would like a sample, please stop by the office. Water is a limited resource that we must conserve and protect for future generations. It is imperative that all customers contact the Authority with any changes to your mailing address and/or telephone number so we may keep our emergency call system current and up to date. If any Landlord would like to put a tenant on the call system, we can accommodate that. Please call the Authority to authorize this. The Authority, the Milford Fire Department and the Pike County Communication Center recently had a Public Protection Classification (“PPC”) survey completed through Insurance Services Organization. A PPC survey plays an important role in the underwriting process at insurance companies. Most U.S. insurers use PPC information as part of their decision making when deciding what business to write, coverage to offer or prices to charge for personal or commercial property insurance. Effective December 1, 2011, the PPC classification on the Authority water system was lowered from 7 to 5 on a scale of 9 to 0. The overall efforts of the Milford Fire Dept., with training and upgrades on equipment, along with the Authority’s upgrades of water mains throughout the Borough and bordering Townships have secured this lower rating. What this means is that the Authority urges all residents and businesses within 1000 feet of a fire hydrant to contact their insurance agents after December 1, 2011 to see if this Insurance Services Organization classification level could lower their fire insurance premiums. All you have to do is call your carrier and ask them what your ISO classification is. If you are a 7, ask them for a quote for a classification of 5 and compare the two. The difference between a 7 and 5 could be about 7% less or around $100 per year.